Tennis and fashion. The two worlds, though seemingly different at first glance, have been married since the invention of the sport. As tennis fans and fashion enthusiasts alike wait with bated breath for the beginning of the 2018 French Open (Roland Garros), many players and designers are putting meticulous thought and care into every minuscule detail of their outfit that will be showcased at the upcoming grand slam. 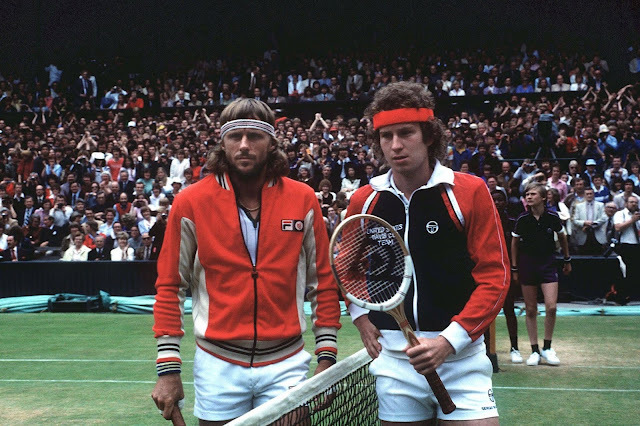 It is no wonder that these worlds have become so interconnected, after all, what other sport puts clothing as front and center in the same manner the sport of tennis does. The sport's impact can be measured back to the 16th century, during the time of King Henry XVIII. The king's patronage resulted in the sport becoming a symbol of aristocracy. 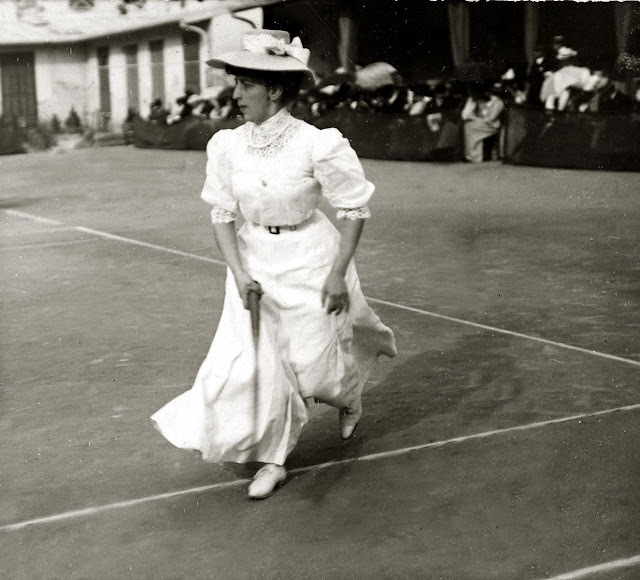 As the sport grew more popular during the Victorian era, white tennis clothes known as "tennis whites" quickly became a symbol of wealth as they dirtied easily and thus cost more money to maintain than normal clothes. As a result, the sport garnered a wealthy, fashion-conscious fan base that has extended to the modern day fan base which includes the likes of Anna Wintour and Bill Gates. Tennis' dominance on society would soon surface in the late 1800s with the introduction of a plimsoll shoe - upper with canvas, coupled with rubber bottoms - known as "the tennis shoe." The introduction of the tennis shoe in the 1860s would lead to the creation of beloved brands such as Converse and Keds. In 1931, Adidas began to market shoes specifically for tennis causing the shoe to cross into the mainstream and expand the growing world of athletic footwear. 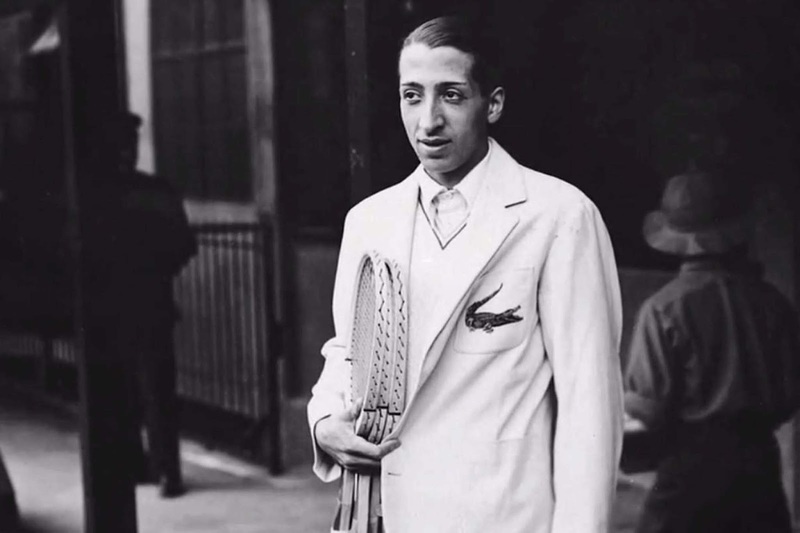 Nevertheless, it was the introduction of the pique polo shirt by Rene Lacoste in 1926 that would solidify the public's glamorization of the sport. Lacoste's polo shirt achieved the perfect balance between functionality and aesthetic. The introduction of the polo shirt and tennis shoe would cement tennis' place in fashion forever. It was not until the 1940s that the ideal tennis outfit consisting of sweatbands and tiny shorts would come to fruition. 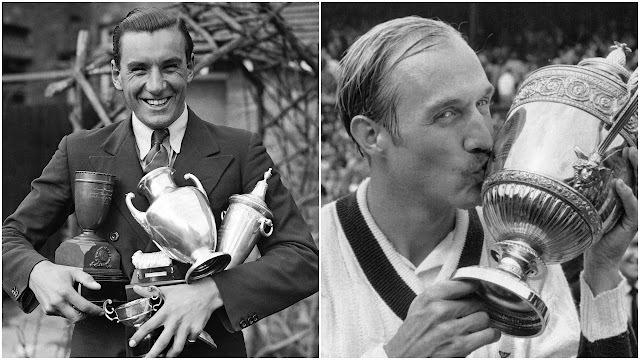 Fred Perry, a former eight-time grand slam winner, used to wrap medical gauze around his wrists to wipe away sweat. Perry was later approached by Austrian footballer, Tibby Wegner, with his concept of a wrist-worn antiperspirant made out of towel material. After Perry made some slight adjustments, the modern day wristband was born. Later in 1971, Adidas would reinvent the tennis shoe and change athleisure and footwear forever with the creation of the Stan Smith tennis shoe. 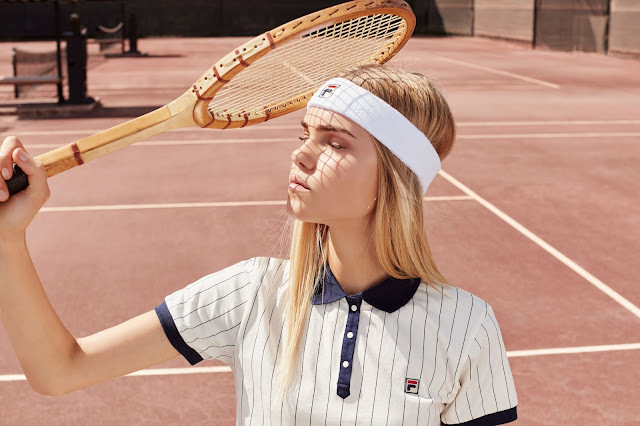 Tennis fashion has since evolved from plain white polo shirts to vibrant ensembles that emphasize and enhance the players' extraordinary skills. 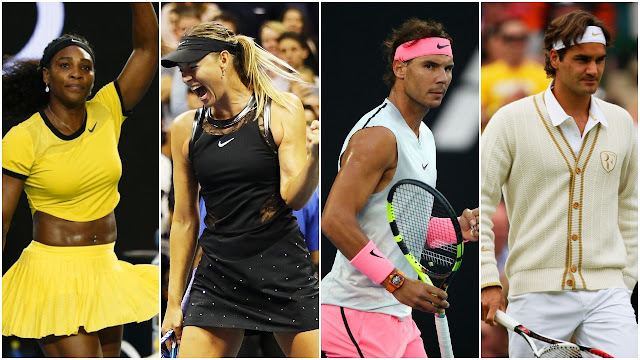 Today's tennis superstars such as Roger Federer, Rafael Nadal, Maria Sharapova, and Serena Williams have received their own sub-lines and signature collections. Additionally, brands have collaborated with high fashion designers to produce unique collections such as former Givenchy creative director, Riccardo Tisci's collaboration with Nike to design Maria Sharapova's Swarovski studded match tennis dresses at the 2017 U.S. Open. These designs have perfectly blended together 21st-century innovation with classic details, making tennis the clear sport of fashion. Today's tennis players have blended the vibrancy of the 21st century with classic tennis elements.